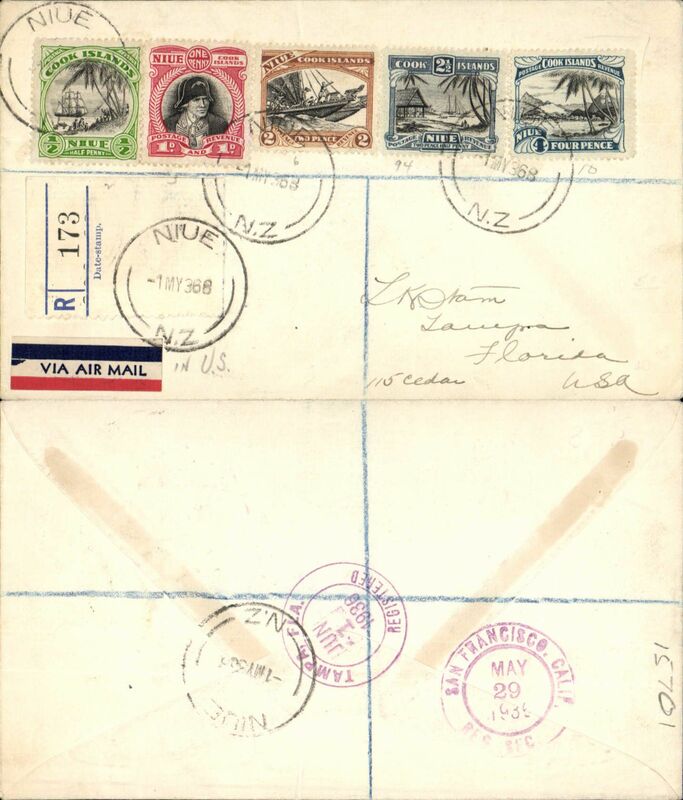 Cooks Islands to USA, registered (label) flown cover to Tampa, Florida, bs 1/6, via San Francisco 29/5, franked 1932 set 1/2d,1d,2d,3d,4d, canc Niue cds, tied red/white/blue Pan Am etiquette. Trans Pacific, nice routing, uncommon origin. 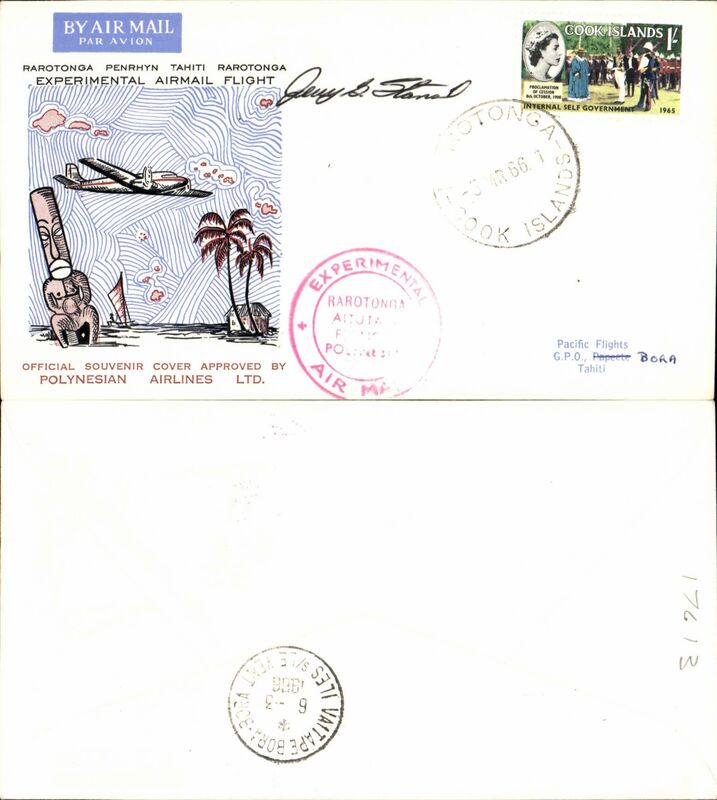 Polynesian Airlines, experimental flight, Rarotonga to Bora Bora, cachet, b/s, souvenir cover, signed by pilot J. Stancil, . 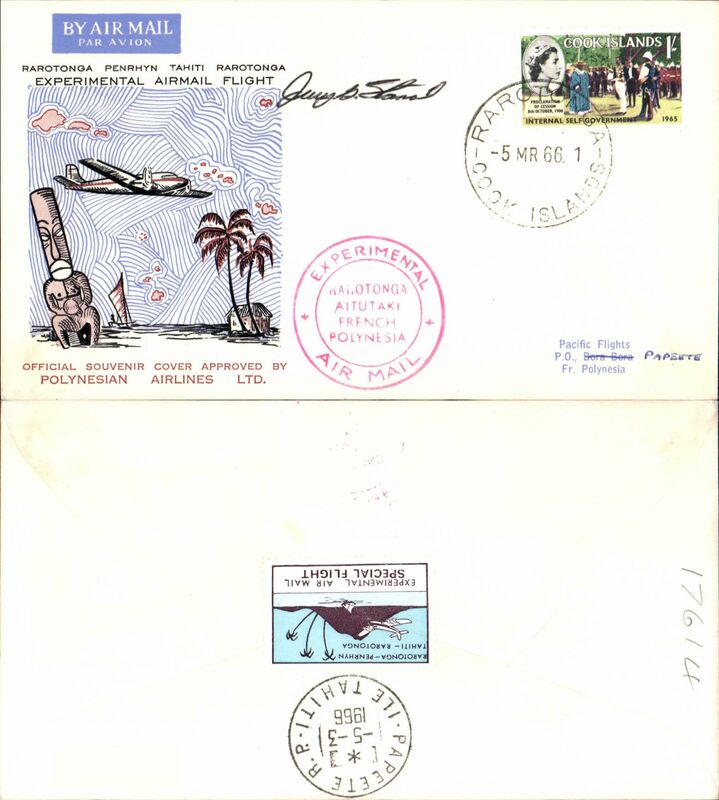 Polynesian Airlines, experimental flight, Rarotonga to Papete, cachet, b/s, souvenir cover, signed by pilot J. Stancil, . 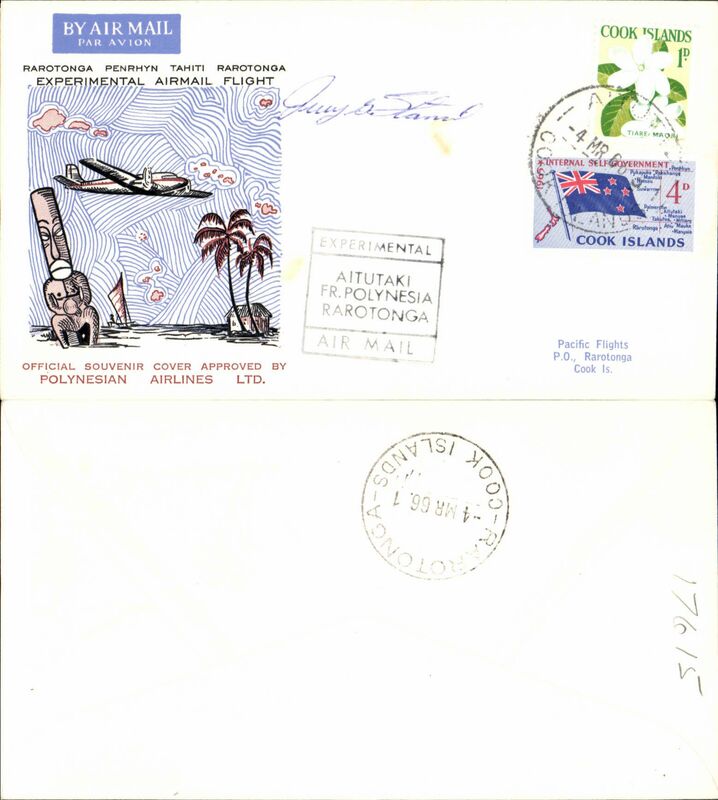 Polynesian Airlines, experimental flight, Aitutiki to Rarotonga, b/s, souvenir cover, signed by pilot J. Stancil, . 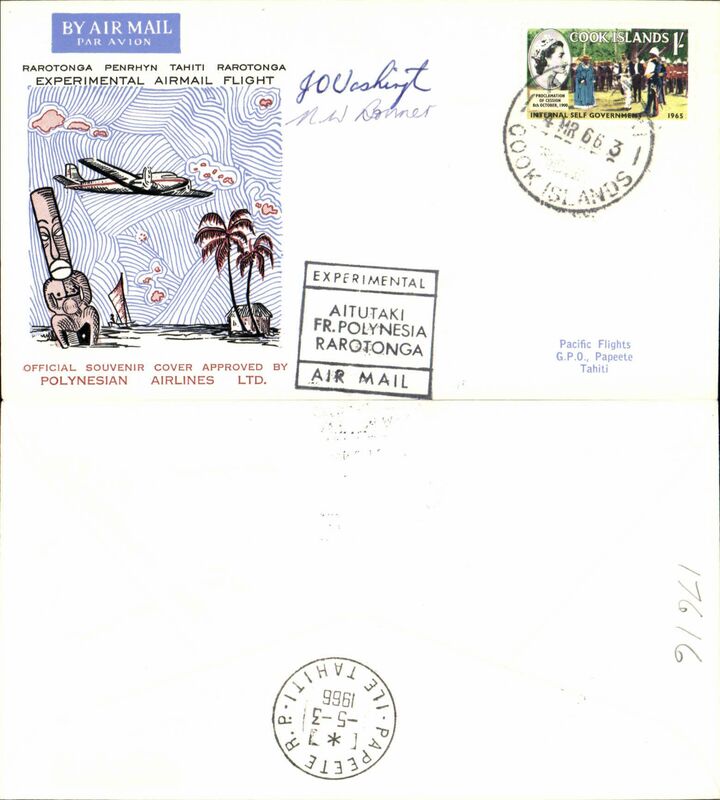 Polynesian Airlines, experimental flight, Aitutiki to Papete, b/s, souvenir cover, signed by pilot J. Washington and crew member N. W. Bonner. 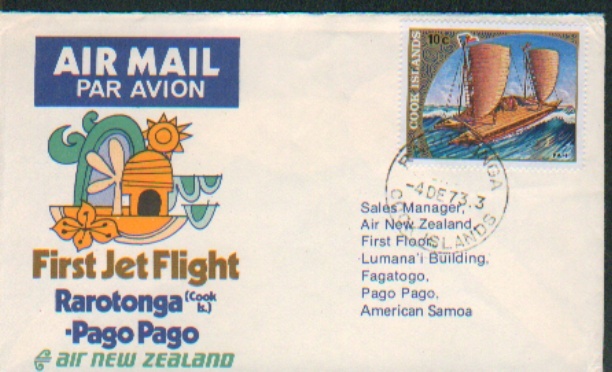 Air New Zealand, F/F Rarotonga-Pago Pago, souvenir cover, bs. 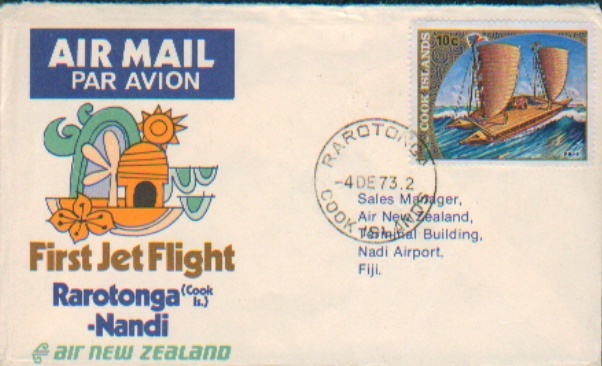 F/F Rarotonga-Nadi, souvenir company cover, b/s, Air New Zealand.